I love a good road trip and right now I’m wrapping up my first road trip in what seems like years. The past week I’ve been whizzing around the state of Oregon with a couple friends, visiting Portland, driving along the beautiful Oregon Coast and exploring some of Oregon’s wonders. This road trip has been completely different from the road trips of my younger days where I was carted up and down the coast in the back of the family van. Not only was I traveling with friends, we had a lot of flexibility in our schedule. While we had planned out our destinations every night, we didn’t have a set schedule for the day which was great. Living out of a car for a week can be an interesting experience. As much as we tried to limit our time in the car in any given day, we ended up doing a lot of driving. 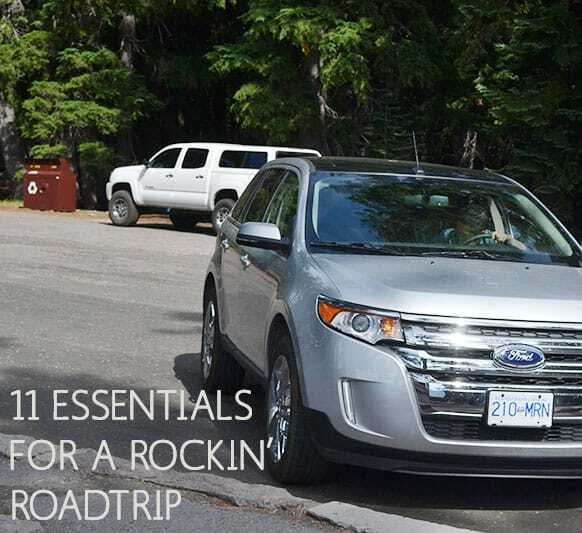 Here are a few must haves to make your next road trip awesome. For when you need a little alone time. Headphones are so great for traveling. When the music isn’t to your taste or your travel companion’s singing is terrible, pop them in and you can have a little time for yourself listening to what you like to listen to. Ear plugs are also great if a travel companion snores when you’re trying to sleep. I saw these on a commercial and it sounded like a good idea at the time. The bag is massively inflated because of the altitude from heading up to Crater Lake. I love me some good snacks. Even better when they are snacks that I don’t normally get at home. The junkier the better. Forget the age-old wisdom of trail mix and granola bars. Yes, they’re good for you, but I love trying outrageous chip flavours, strange candies and mysterious items where you’re not sure what exactly you’re getting inside the bag. Here are some more ideas to make snackin’ and eating on the road easier. At home and during work hours, I always have a big water bottle within easy reach. This ensures that I get enough fluids. While I have the world’s tiniest bladder (based on my very scientific poll of friends and family that I have traveled with), it’s important to balance the two and drink enough liquids. Especially if I’m going to be eating all that junk above. I just skedaddle to the washroom every chance I get. A quintessential item for any road trip. While I find mine completely infuriating and cannot for the life of me figure out how to use it, I still like bringing it along just in case. I much prefer Google Maps and the GPS on my phone, but having an actual GPS in case you can’t get reception is always a good idea. Also be sure to bring with you the paper variety of maps too. In case your GPS completely fails you. I forgot to grab an Oregon map before we left and we could have really used it when we got lost a bit in the woods heading to Crater Lake. At least our GPS was still somewhat working! A part of the road trip experience is stopping in the middle of nowhere and using a rest stop toilet which may or may not be outfitted with the proper toiletries. Be sure to have a bottle of hand sanitizer around to keep things clean. Also, while most of Canada and the US are fairly well taken care of, I’ve been on road trips through other parts of the world where you need to be prepared with your own toilet paper, and paper towels. Any summer holiday means sunscreen. Have you seen this video of what our skin looks like under UV light? Watch it and you won’t want to go out without it. A hat is useful too. Depending on your road trip, you might need bug spray as well so you don’t get those pesky mosquito bites. Give me an adjective. Now a noun. Adverb. Part of the body. 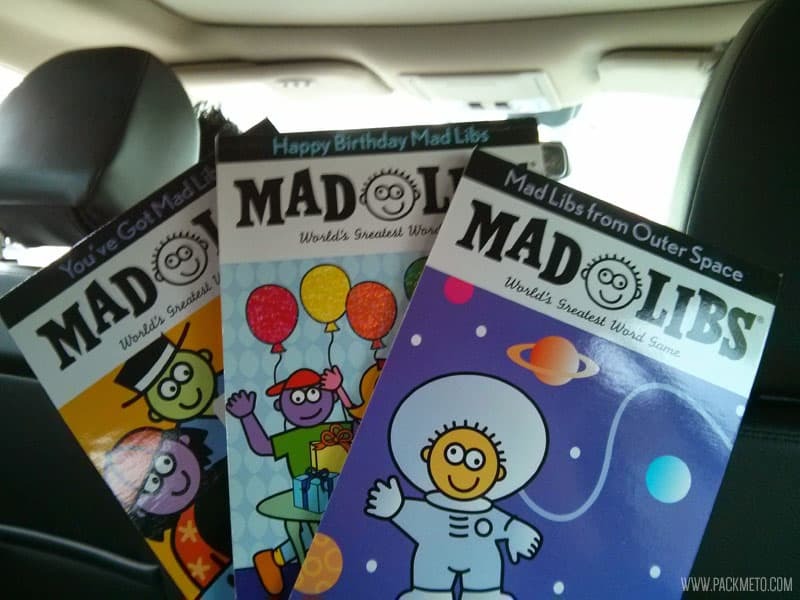 We played a lot of Mad Libs on this trip to pass the time. We also started counting license plates and other silly random games. It’s a great way to pass the time in the car and get everyone playing. There are tons of great ideas available on the web. I also brought with me a bunch of crosswords to complete during quiet alone time. As much as I tried to be prepared, there are definitely a few items I wish I had brought along. Here are a few that I’ll definitely be packing next time! A knife is really useful if you’ll be doing a lot of picnic lunches on the road. You can use your knife to cut up fruit, sandwiches, and do anything else you may need. I had it on my packing list, but at the very last moment, I forgot to bring one. Another item I wished I had brought along were a pair of scissors to help open packaging. Aside from a couple band aids that live in my wallet, I completely forgot to pack one. A first aid kit comes in handy especially if you’re going to be hitting the trails or heading places where accidents might happen. Bring items like bandaids, polysporine, a flashlight, thermometer, and medicine like pain killers and antacids. You can even slip in extra wet wipes and hand sanitizer in case your other supplies run out. We ended up buying food for picnics and nibbles on the road that could have used a cooler. We made do without one, but next time I’ll be sure to bring with me a little ice box to help keep everything at the proper temperature. What are your essentials for a road trip? « What is Canadian Food eh? Those are some great suggestions!!! We’ve done plenty of road trips and I think that we tend to bring along junky type snacks too…after all, when you’re on a little vacation, it’s okay to eat a bit worse! Good music is definitely a must. It is bad when you don’t bring enough good music! Yes and yes! You need good music to keep the good mood flowing. I too love a road trip! I also love those snacks! 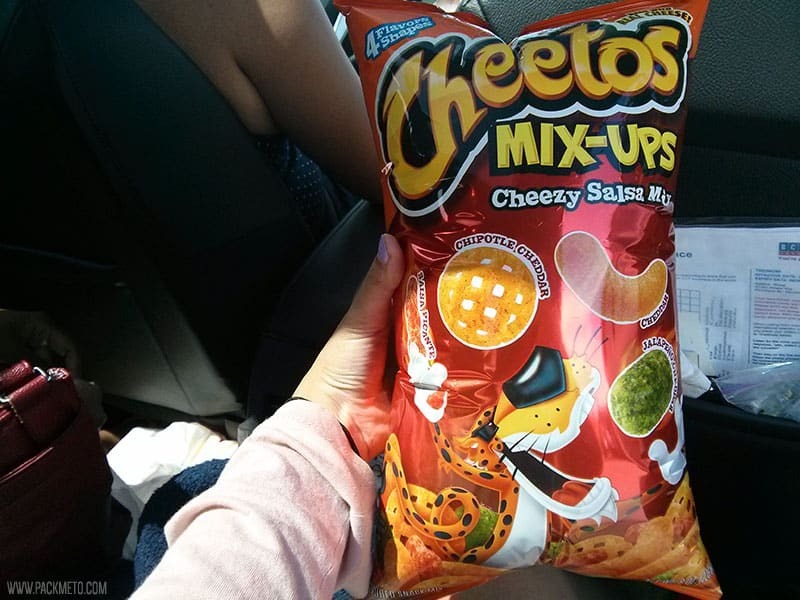 I miss American snacks! Ear plugs are on my list with three kids in the back too! Haha, I bet! I haven’t traveled with kids in a car for a really long time, but I can see how it can be really trying sometimes. For me, the snacks are where it’s at. My husband usually takes care of everything else but I always pack the snacks. I like to bring a cooler with cheeses, cool drinks, fruit, crackers and so many gas station bags of candy. I’m talking Peach-Os, Cinnabears, etc. Now I really wish I was going on a road trip! Yes! Gotta stock up on all the junk candy. Nothing better for a road trip. Fruit and cheese would have been a good idea. I love a good road trip with friends too! I used to do a lot of those in college and the years after… I miss that :(. It’s always fun to have music and afterwards we always end up associating a particular song with the trip. And a lot of snacks in a must!! Yes! I so know what you mean about associating a song with a road trip. It’s so much fun when it comes back on years later and you can revisit all the memories. True, an audio book or podcasts would be good additions to the music. I feel like sunscreen is like insurance, the thing people should have most but totally forget about. Having travelled with Aussy’s (who are obsessed with, and also have the best sunscreen) I’ve become a little obsessed myself. I still managed to get a tan this summer in spite of covering myself in factor 30 a million times a day (it was so hot one day I was coating myself in the stuff every 40 minutes). And also, what is with people putting on factor 4? Why are you bothering, get a decent sun screen! Thanks Sammi! Agreed – sunscreen is SO important and you don’t even see most of the damage your skin gets until years later. I still tan even though I have sunscreen on so people using that as an excuse falls short in my books. Adelina, Great list…I love a road trip. It’s by far my favorite mode of travel. Can’t wait to do another one. It’s one of mine too! I can’t wait for the next one already even though I just got home. Sigh – it’s an ongoing battle! Man, I haven’t been on an actual road trip in so long (do train trips count?) that I wouldn’t know what to bring but this is a fabulous list! I have been slightly jealous of your Oregon jaunts as I’ve seen them through Twitter… the coast there is so incredible. Thanks Cynthia 🙂 I love traveling by train too – slightly different, but more similar than not. The coast has been stunningly beautiful – more than I even imagined. Hope you get a chance to see it for yourself! You’re such a girl after my own heart. The only time I let myself stuff my face with horrible junkie snacks is when I’m on a road trip (sometimes I stretch the definition of a road trip if I’m craving Doritos). Oh my gosh! WHAT?! That’s crazy! And too weird. I would be so uncomfortable with that. I didn’t know one of my traveling companions very well, but thankfully nothing as horrific as that happened. This is a great list! We spent 11 days on the road with my husband’s girls this summer and it was so important to have a checklist! Have a good long weekend. So true! Gotta be prepared for all the different scenarios! I think you covered most of the essentials. Last time I took a long road trip was when I was 16 and we had to rely only on maps as there were no GPS units:) I agree with the advice to also bring along a map or atlas as GPS units can fail. Exactly, you never know when technology will just give up on your. Always good to have a back up plan, especially when you’re headed into the middle of nowhere. I love roadtripping. It’s probably the way I travel most now as I live in southern Europe and have kids, it’s just the best way to see lots. I like your list, particularly music and snacks. We love trying out different candy in different countries but we also like listening to local radio stations and trying to work out what’s being said in a crazy language we don’t understand. When that gets too much we put on the iPod! Trying out all the wacky snacks and fully flavoured candy is the best part of road tripping through a country. I would love to drive more in Europe, but alas, can’t drive manual. Gotta learn! Great list though it looks like our tastes in snacks differs a bit. Ohhh duct tape is a good one. I thought about bringing one, but we had a rental and I wasn’t sure how much room we would have. Totally could have brought one in hindsight now. So true! Our car thankfully had a bunch of USB plugs so we were able to keep everyone’s phones charged as needed. Me too! It’s kind of scary how much we relied on it. Thankfully we were able to get connection in most places we went otherwise we would have been in big trouble. Great list. Now that I’m a mom, I’ve realized that the perks of being the parent on a road trip are always getting to ride in the front seat and having complete control over the radio. Today, I bought Beaver Nuggets, and the 1st 3 ingredients were sugar, puffed corn meal, and corn syrup. So, so bad for me but pretty much the perfect Road Trip junk food. I always need sunglasses and a neck pillow on road trips, too. A neck pillow is smart! One of my traveling companions brought her’s and I wish I had one too. And those Beaver Nuggets sound… interesting haha. A cooler is a definite must for as when roadtripping with the kids because they are always asking for something. I also like having satellite radio because it ensures that we have good music through out the whole trip. I hate having to look for a new station when you get too far out of reach. That’s so true. I remember my parents always had one when we had road trips. We had satellite radio too and it was really useful! The songs got kind of repetitive after a week in the car though! You can’t beat cheetos!! Would love a road trip – haven’t done one for a long time! Great tips. Hurray for another Cheetos lover! I feel like we are so far and few between. Ohhh that is a good one! And a wine opener too. I have a bottle opener attached to my keys so that is always there, but all the other options would be great. Gonna add this to my list! We love Road Trips but like yourself there are certain things that are a must – munchies because you never know when you will get hungry, wet wipes because they are so handy – we use them for cleaning our sandwich making utensils as it saves looking for water (obviously they are washed properly when we make it to our destination) and toilet paper because there are parts of Europe that i guarantee never supply it. Great tips Tam! Especially the bit about toilet paper in Europe. When I was roadtripping around Croatia, Slovenia and Hungary I stopped to use the toilet on the border between Slovenia and Hungary. It was a squat toilet and no toilet paper. Needless to say I was super shocked and lesson learned. These are really the essentials, especially the ear plugs! Great list, Adelina! I totally didn’t think of scissors! I’m going on a quick road trip w my family next week, so i definitely need to be thinking about the essentials!